Escape the crowds by coming home to this 3100+ sq foot energy-efficent, new construction expertly done in the Craftsman style with lavish attention to detail. This luxurious home is a jewel in an idyllic country setting. Situated on 5 manicured acres, this home boasts majestic mountain views and exquisite attention to detail. Beautiful tile floors, stunning hand-finished casework and extensive use of timber and local rock abound, and the 1000 sq ft finished shop/garage, a wrap around deck, and the sound of a running stream nearby completes the relaxation package. 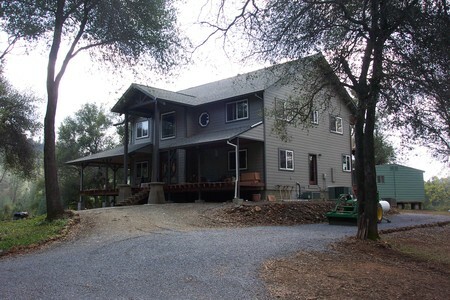 In the country, and yet just 10 minutes from downtown Redding, this oasis of craftsmanship and style won't last long. Beat the rush and be the lucky buyer of this gem.